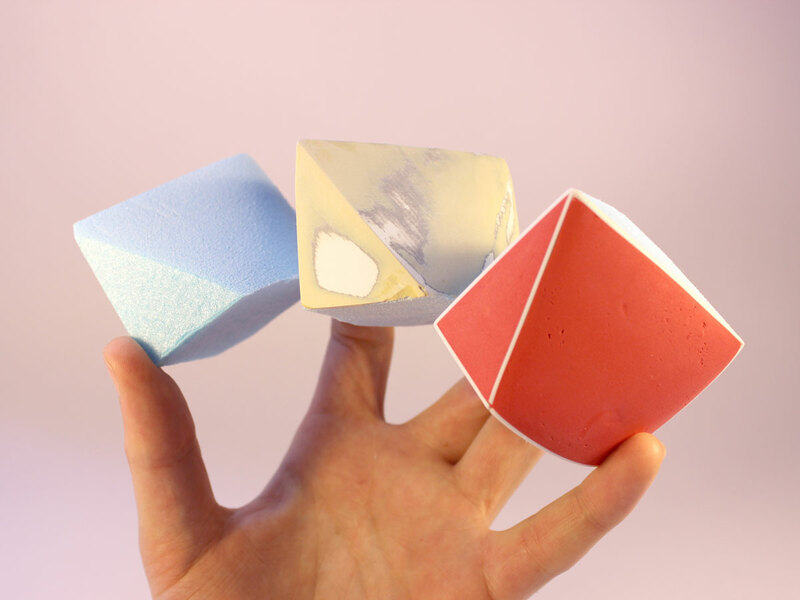 Use foam sculpting and "Sugru skinning" for any creative process requiring models to explore interactions and aesthetics, quickly and at low cost. The modeling technique I used in my Ergo Mouse project has 3 main steps: sculpting, surfacing, and what is called Sugru skinning. But you can apply this process to any creative process requiring models to explore interactions and aesthetics, quickly and at low cost. What is Styrofoam? 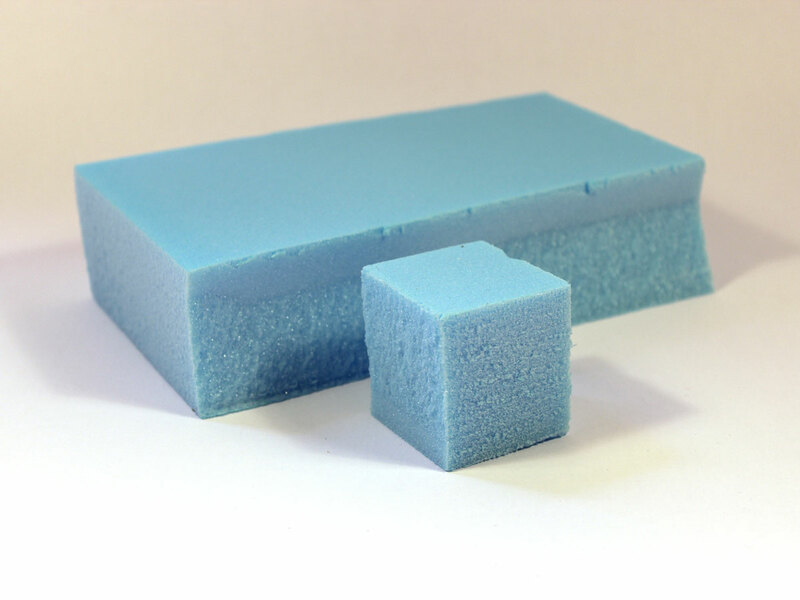 Sometimes referred to as simply ‘Blue Foam’ or ‘Insulation Foam’, Styrofoam is extruded polystyrene – and is far stronger than the white polystyrene you find in coffee cups and packaging pellets. It can be worked by hand into complex shapes quickly and because it has a fine ‘grain’ it is ideal for modeling and is used widely in design industries for exploring aesthetic and ergonomic considerations and also in architectural practices and in sets in film and theatre. One thing to note is that it is dissolved by various solvents found in superglues, chemical fillers and spray-paints – which is why it is advisable to coat your sculpted form in a water-based barrier such as Decorators’ Filler (Spackle or PolyFilla). However, you can use glue-gun to stick chunks together. There are many ways to work with Styrofoam, for example some people use hot-wire cutters and CNC routers, but the following steps will offer some tips that are both safe and affordable and give good results for small-medium sized models. TIP: If you don't have a Zona saw like the one shown here, use an old junior/hack-saw blade — with one end wrapped in electrical tape to make a safe "handle." Critical Dimensions: Although a quick process, it’s often important to make sure any key aspects are accurate – e.g. if you need a 90° edge, don’t leave this until the end to correct this! Primitive Forms: As many graphic artists know; complex results have a strong, accurate geometric foundation to them. Try to consider the key features of your design carefully. Plan For Growth: Anticipate dimensions increasing due to layers of paint, filler, etc. Allow 1-3mm increased thickness. A rasp file (or surform) will remove a large amount of material and afford you more intricate working than the saw. Rasps remove a lot of material quickly, so be careful to not lose definition of the key features. With more detailed work, use a fine file. (Shown is a "D" shaped file, giving rounded, flat, and chiseled operations). Extending your index finger may help with control and even pressure, when filing. The third photo shows the rasp filed styrofoam on the left and the fine filed Styrofoam on the right. A small or "needle" file can be used to add delicate radii on your work. Try to use long, confident strokes where possible, as this will keep the features clear and well defined later. You can buy sanding blocks, but it can be useful to make your own. Firstly because it’s cheap, secondly because you can create specific profiles using the block for a specific job, and thirdly you can control the pressure/forgiveness of the sanding – depending on if you use say a hard wood block or a soft scrap of Styrofoam. Obviously you can use your hands to hand-sand the foam. However, in reference to earlier points about retaining control over a geometric shape, it is best to save this for the final, lightest details. That said, for highly intricate or improvised forms, you may just work by hand much earlier on – but perhaps with coarser grit sand papers (e.g. 100-300, as oppose to 600-800 grit for final details). TIP: If you have the perfect profile of file, but it’s too coarse to use, try wrapping it in emery/sand paper to get a great result! Straight Blade: Cuts straight lines – in hard or uniform materials. Works best with multiple cuts (e.g. gradually cutting through card, plastic, etc). Rounded Blade: Cuts curved lines – in soft or ‘organic’ materials. Works best with single fluid cuts (e.g. cutting foams). One can appreciate how surgeons generally use a rounded blade, rather than a straight blade, so consider the material and the tool carefully. Similar to slicing a loaf of bread, start the cut off the edge of the piece and slice the foam in a fluid motion, so that the whole blade is moving through the foam. Although it sounds obvious, many people "push" the blade and this makes for a rough-cut. You may also note that using your pinkie-finger as a "stabilizer" (as with writing) helps give control to your work. Exploratory models such as these often get quickly damaged and/or are not that presentable (to, say, a potential investor), in which case you might also want to consider adding a protective layer(s) to the foam, as well as painting it to bring the design alive. Next, we'll prepare a tougher exterior finish (using fillers) so that it is ready to paint – or for a twist – cover in silicone rubber (Sugru) for a tactile finish! Styrofoam reacts badly when in contact with solvents. This is why it is recommended to coat with a fine layer of water-based filler (Spackle or PolyFilla) and before spray-painting. Not only does this protect against solvents melting the foam, but it also allows you to achieve a higher quality surface finish. For even more durable models, you can add a layer of fast-drying car body filler (e.g. U-Pol) after the water-based filler. The water-based filler is still required, as typically, car body filler solvents will also melt the foam. Try to use a "fine-grade" filler for best results. For this part a simpler shape has been used to illustrate a hard edge and a curved surface. You may find it useful to work such forms using sand paper glued-down on a flat surface (scrap of board), as illustrated. It’s also a good idea before you start applying filler to brush (and even vacuum) the foam to remove dust which will mix with the filler – making it lumpy and difficult to sand smooth. The water-based filler may claim to dry in anything as little as 5 minutes, but this is usually referring to putting it on your walls — so on foam it takes much longer, so place it in a warm well ventilated place to speed up drying. When applying the filler with a spatula or a tongue-depressor, try to follow the same grooves you created with the files and other tools, as this gives a more even surface. Another tip (if drying-time is not a problem) is to wet your finger and smooth the filler over the profile and into specific areas. Experiment with different methods to see what suits you best. It's pretty obvious that the filler needs sanding-down, but this is a nice tip of taking a tongue-depressor (or some other stick) and gluing sand-paper to it. Better than nail-files – as you can choose the sand paper grade you want. Brush the surface clean. It's worth doing throughout the process. Ideally with a vacuum-cleaner near by, before it gets everywhere. Often when sanding back the filler, one can break-through into the Styrofoam again. You can either apply more filler and work again, or if the profile is what you want, you can add a coat of PVA which will provide some protection against the solvents of future processes. Following this ratio, you can expect to have about 5 minutes to work the filler, so if this is too short, add less hardener. 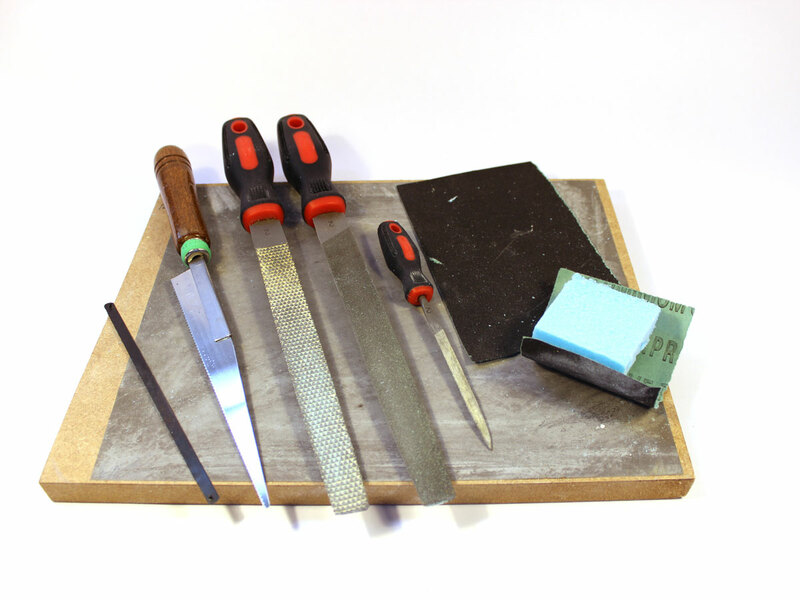 You may find that the surface has lots of streaks from applying it – you can save yourself some effort later on but cutting these lumps off with a scalpel while semi-dry. Using a fine file, remove the excess of the filler, using broad and even strokes. Using very much the same sanding techniques as shown earlier, work the form back to the shape you want, checking any key dimensions, etc. Especially at this latter stage of the model, try to use confident, broad strokes with sanding-blocks where possible, as this will give a well-defined look. Similarly, you may wish to enhance a hard edge by sanding the corresponding surfaces on a sanding board, to give a crisp edge. Given that this guide was primarily aimed at finishing a form in silicone rubber (Sugru), a final sandpaper of 500-600 grit was ample, but when considering preparing for painting, you will probably need to finish around 800 or 1000 grit – and probably use a primer before the top-coats. It does not matter if you break-through into the white water-based filler, but it should act as an "early warning sign" to stop before you hit the Styrofoam. If you are happy with a particular area of your model and do not want the profile to change, but you need to add more filler elsewhere, a good tip is to lightly spray the model with a colour/primer, so that you can remember where you "got to," when sanding back again. (This is hard to explain here, but trust me, as you get more advanced, tricks like this can be very helpful). Once you have your foam form, with a stronger, more refined surface, you can then consider how you wish to finish it. The sanded surface as it stands will take spray-paint nicely, but here we will look at how to create a tactile finish using Sugru – as air-curable mouldable silicone rubber. This is useful for creating features such as the "grips" you might find on a power-drill, or a steering-wheel of a car, for example. I have also "inset" strips of ABS plastic as an experiment to accentuate details of the form. Next you can see how this is done. Take a final look over the model. If there are any details you still feel need enhancing this is the last chance to do so. Ensuring your fingers are well clear, press a scalpel blade firmly into the Plastic Strip to make an indentation – this should be enough that if you snap it from the opposite direction, it will give a quick, clean break. Work around the model, using the features to tailor the strips to the model – gluing one at time, as you go. With the features defined with white Plastic, we are ready to "skin" the model with Sugru. The Sugru will be rolled between food-wrap to make it thin and allowing it to be peeled and placed onto the model. A scalpel is useful for trimming any excess. A curious tool is the Chapati rolling-pin: I used it because I realised that a heavy "western" rolling pin was about 4 times as hefty, and this little rolling-pin was clearly designed for rolling small thin items when you think about it... If you happen not to have one, a section of pipe will do fine. The food-wrap will stretch with rolling, so do as much flattening as you can with your fingers beforehand. Don’t worry about evenness. Use tissue paper to wipe Sugru off your fingers. Try to avoid trapping air in between the Sugru and food-wrap. You will probably only enlarge the Sugru by 2x, before needing to reposition it between a fresh piece of food-wrap. Make sure the surface is flat and will not pop/tear the food-wrap. For best results, keep turning the Sugru to give an even thickness. No doubt a fiddly job, but it gets easier with practice, and of course if you mess it up, just start again (though perhaps just a couple re-trys, else the Sugru will 'tire out' after 20mins). Sugru is very sticky, so try to position it only once. Knead and poke the Sugru into position. This is where the extra strength of the car-body filler is ideal, as a softer filler may simply crack under the force. Very little force is needed to cleanly trim the Sugru, as long as it’s a new blade. (Although a curved blade is best for cutting soft things, a straight and pointed blade will help get into corners). For pro results, try a "15C" scalpel blade - best of both worlds. With the friction, this allows you to get it into the corners really well. Don’t worry if some overlaps a little, it will sand-back. Add some slightly soapy water to your fingers and rub the Sugru to a glossy finish. Try not to let the water creep underneath the Sugru skin. Allow to dry for 24 hours. If you intend to sand it, make sure it is totally dry! Using a sanding block to sand by to the same level as the plastic 1mm strip will also remove any excess that has overlapped. If you do find you have any imperfections, you can always add a small bit of Sugru and sand back again. Step #32: Sugru Skin Complete! This technique also works really well on 3D prints (ABS and PLA), in case you want to experiment with a similar approach, but from something designed in CAD.